UAIS , has a long and consolidated experience in multidisciplinary inspection services. We can provide highly qualified and extremely competent inspectors duly selected from an extensive team of technicians available around the globe. Vendor inspection services are available on request and even at short advance notice. • Lifting Equipment Manufacture. • Lifting Equipment Reconditioning. • Lifting Equipment Repair. • Lifting Slings. • Lifting Slings - All Types. • Lifting System Anchor Shackle. • Lifting Tackle. • Lifting Tackle Inspection. • Lubrication Equipment • Lubrication Of Mine Winding Ropes. • Machinery Lubrication. 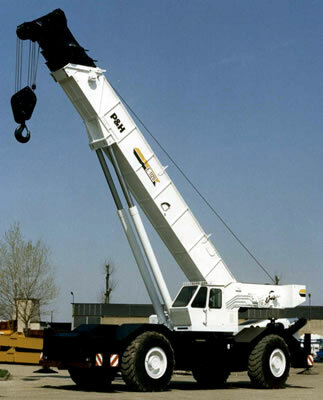 • Material Handling and Lifting Equipment. • Material Handling Equipment. • Materials Handling Machines. • Overhead Gantries. • Pallet Forks. • Pneumatic Tirfor. • Power Operated Tirfor. • Safe Lifting Equipment. • Safety Harnesses. • Safety Lifting Equipment. • Slings. • Slings : Adjustable Chain Slings. • Slings : Double Chain Slings. • Steel Wire Rope. • Steel Wire Rope : Stainless Steel. • Steel Wire Rope Slings. • Suspension and Sling Eyebolts. • Tirfors. • Tripod Lifting System. • Vertical Drum Lifters. • Webbing Slings. • Wire Lubrication Systems. • Wire Rope Lubrication Maintenance. • Wire Rope Lubrication Systems. • A Frame Portal Cranes. • Accessories : Lifting Eye Bolt.s • Automated Gantry Systems. • Beam Clamp. • Beam Trolley. • Brakes For Lifting Equipment. • Bulk Material Handling Equipment. • Bulk Material Handling Systems. • Chain Block. • Chain Hoist Electric. • Chain Hoists. • Chain Lubrication. • Chain Shackles. • Chains. • Cranes : Portal Cranes. • Cross Beams. • Custom Lifting Equipment. • Swimming Pool Lifting Monorail. • Electric Chain Hoist & Trolley. • Eye Bolts. • Gantry Crane. • Gantry Systems. • Gantry/Jib Guard. • Hammerlock. • Heavy Industrial Lifting Equipment. • Hoist Chain. • Hoist Lever. • Hooks : Clevis Grap Hooks. • Hooks : Clevis Self Locking Hooks. • Hooks : Clevis Slips Hooks. • Hooks : Clevis Type 'C' Hooks. • Hooks : Cradle Grab Hooks. • Hooks : Eye Self Locking Hooks. • Hooks : Eye-Type Latchlok Hooks. • Hooks : Foundry Hooks. • Hooks : Hooks Spare Parts. • Hooks : Safety Sling HooksHooks : Sling Hooks. • Horizontal Drum Lifters. • Hydraulic Lifting Equipment. • Hydraulic Tirfor. • Industrial Lifting Equipment. • Industrial Material Handling Equipment. • Lanyard. • Lever Hoist. • Lifting & Rigging Services. • Lifting Beams. • Lifting Equipment & Related Accessories.